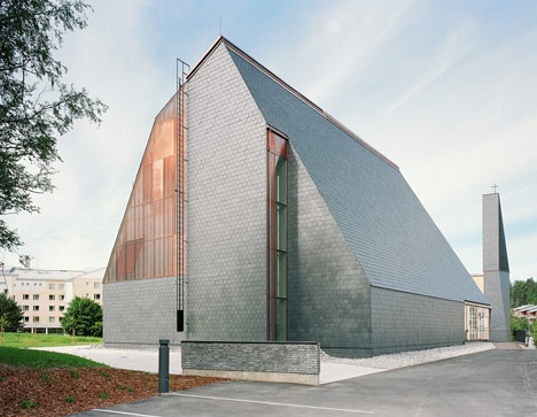 When we think about houses of worship, we usually think of ancient mosques, archaic temples and centuries old churches - not necessarily structures on the cutting edge of green building. 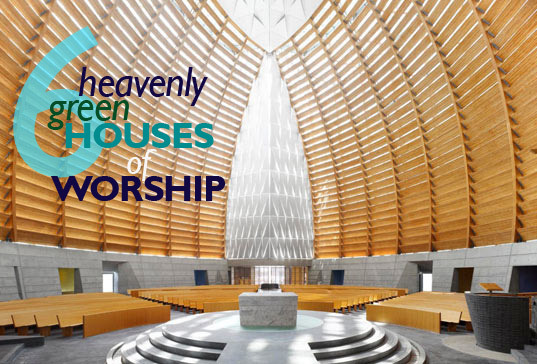 But did you know that some of the most eco-conscious structures out there are also the holiest? 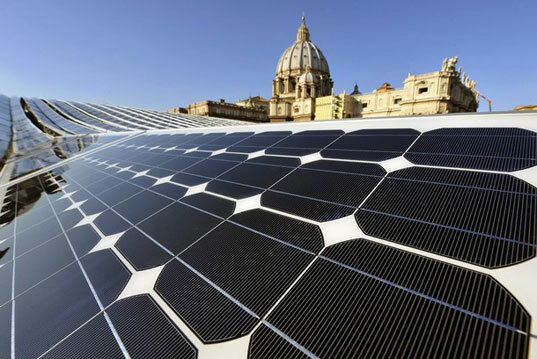 Check out some of the coolest ones, including a Thai temple built from one million (yes, one million) recycled bottles and the most famous church in the world with a solar array by clicking through our photo gallery! If the higher being that the Wat Pa Maha Chedio Kaew temple prays to is into recycling, we think they’ve found a stairway to heaven, and it’s made of bottles – millions of them! The temple, which sits in Thailand’s Sisaket province, about 370 miles northeast of Bangkok is made of more than a million used glass bottles. The bottles are used throughout the building from the crematorium, the surrounding shelters, and even in the toilets! The Kuokkala Church in Jyväskylä, Finland has a presence that’s been described as “light as air,” which certainly sounds heavenly to us. But this building isn’t all about looks – the daylit structure is constructed almost entirely from locally-sourced spruce left in its natural state and highlighted by sunshine streaming in from above. You may have seen all of the debate surrounding the “Ground Zero Mosque” and community center to be located in downtown NYC, but there’s one thing we can’t argue with – its LEED certification. A report last week on the The Daily Beast revealed that the developers of the Park51 cultural and community center plan to achieve LEED certification, and if they do, it would become the first LEED-certified mosque in the US. Okay, so this isn’t actually a church – but it used to be! 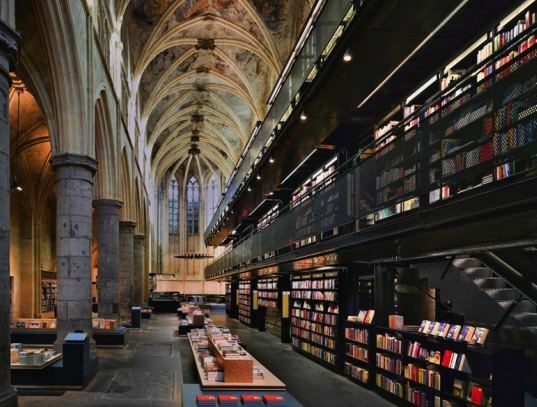 Instead of being torn down, this lovely old Dominican church in Maastricht was renovated into a “new” bookstore. What a great example of adaptive re-use that turns a rich historic building into a different kind of house of knowledge. This awe-inspiring church by Skidmore, Owings & Merrill in Oakland makes beautiful use of glass, fly ash concrete, and fsc-certified wood, but the incredible streams of light that pierce the interior are what truly make it divine. Called Cathedral of Christ the Light, this breathtaking building is just the place to go if you’ve been searching for religious -or architectural- inspiration. Thai Temple Built From One Million Recycled Bottles If the higher being that the Wat Pa Maha Chedio Kaew temple prays to is into recycling, we think they've found a stairway to heaven, and it's made of bottles - millions of them! 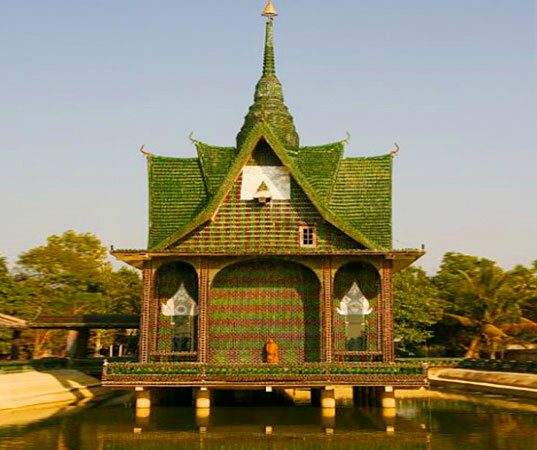 The temple, which sits in Thailand’s Sisaket province, about 370 miles northeast of Bangkok is made of more than a million used glass bottles. The bottles are used throughout the building from the crematorium, the surrounding shelters, and even in the toilets! Gorgeous Kuokkala Church Made of Local Materials The Kuokkala Church in Jyväskylä, Finland has a presence that's been described as "light as air," which certainly sounds heavenly to us. But this building isn't all about looks - the daylit structure is constructed almost entirely from locally-sourced spruce left in its natural state and highlighted by sunshine streaming in from above. 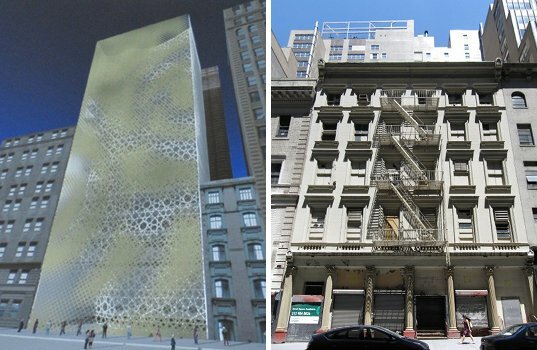 Ground Zero Mosque to be 1st LEED-Certified Mosque in Country You may have seen all of the debate surrounding the “Ground Zero Mosque” and community center to be located in downtown NYC, but there's one thing we can't argue with - its LEED certification. A report last week on the The Daily Beast revealed that the developers of the Park51 cultural and community center plan to achieve LEED certification, and if they do, it would become the first LEED-certified mosque in the US. Ancient Church Turned Modern Bookstore Okay, so this isn't actually a church - but it used to be! Instead of being torn down, this lovely old Dominican church in Maastricht was renovated into a "new" bookstore. What a great example of adaptive re-use that turns a rich historic building into a different kind of house of knowledge. SOM’s Stunning Cathedral of Christ the Light This awe-inspiring church by Skidmore, Owings & Merrill in Oakland makes beautiful use of glass, fly ash concrete, and fsc-certified wood, but the incredible streams of light that pierce the interior are what truly make it divine. 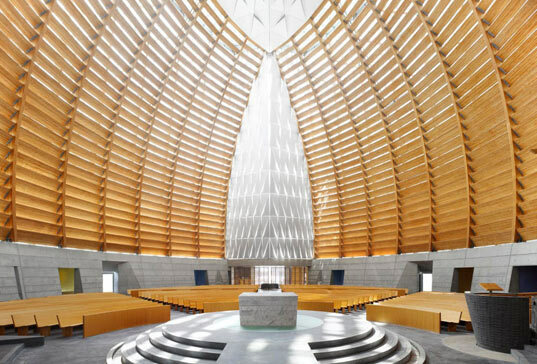 Called Cathedral of Christ the Light, this breathtaking building is just the place to go if you've been searching for religious -or architectural- inspiration.